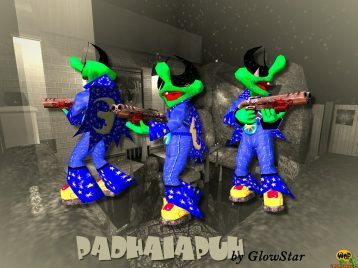 PadHaiapuh seems to be a mix of sandman and grinch and probably is not trying to put his opponents into sleep softly. 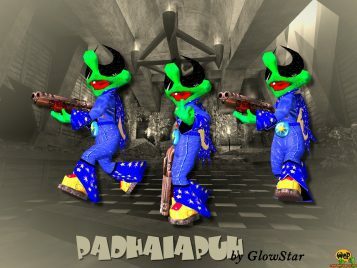 PadHaiapuh is an alternative skin for ENTE’s Padman made by GlowStar and it was a contribution to the legendary Padman skin contest back in the days. This skin needs the player model Padman for Quake 3 Arena installed before.